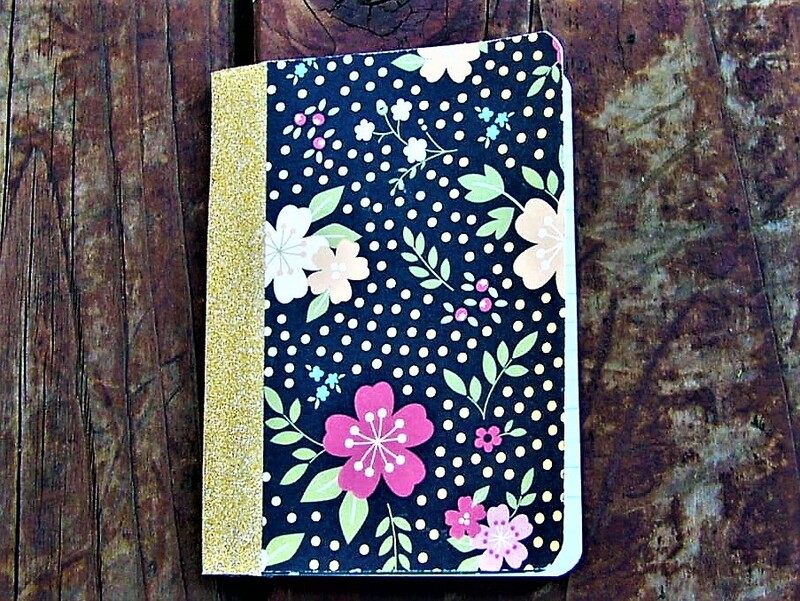 If you are like me, you love to craft and journal! I still write the old fashioned way before bringing my work to the computer – through journals – and I love adding fun paper and stickers to the journals that I use. 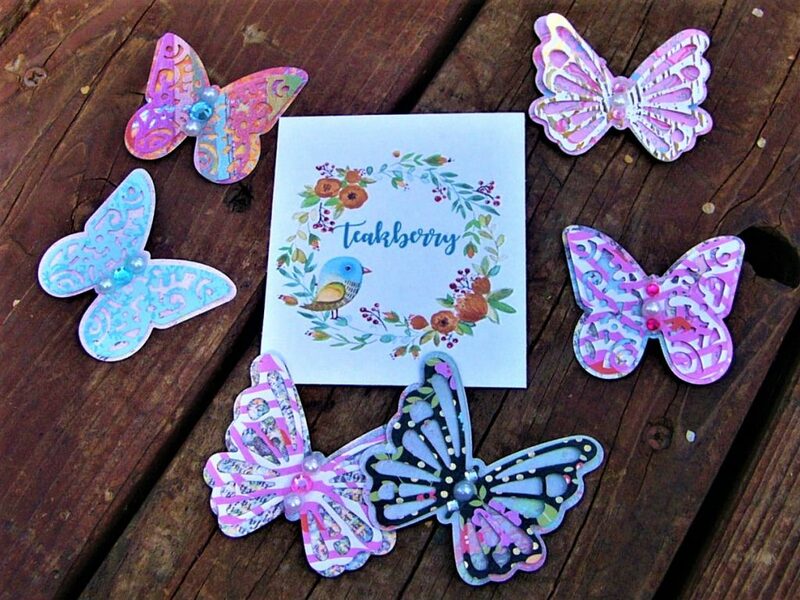 There is a new subscription box that is being released called Teakberry, and this box sends you fun stickers and other paper crafts that you can use in your planners, journals, snail mail or even to scrapbook! I received the May box, and I just have to share it with you all. 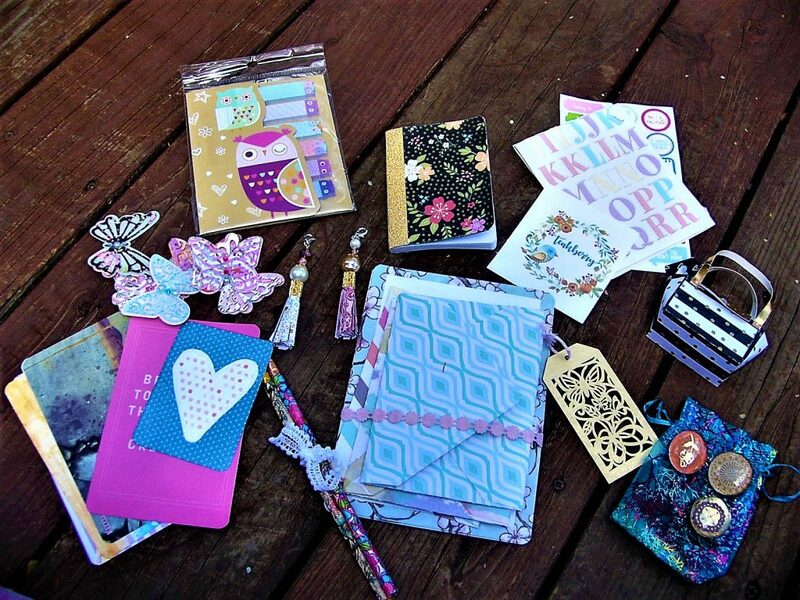 Teakberry is the perfect subscription for the art of snail mail, papercraft embellishments and planner accessories! Each box is hand-curated by the owner, and most of the items are handmade as well. Teakberry comes with paper items to use in crafts, planners, letters, etc. and it celebrates the art of paper crafting. Now, I am a HUGE crafter. I do just about every craft on the planet, and I couldn’t want to try this box out! 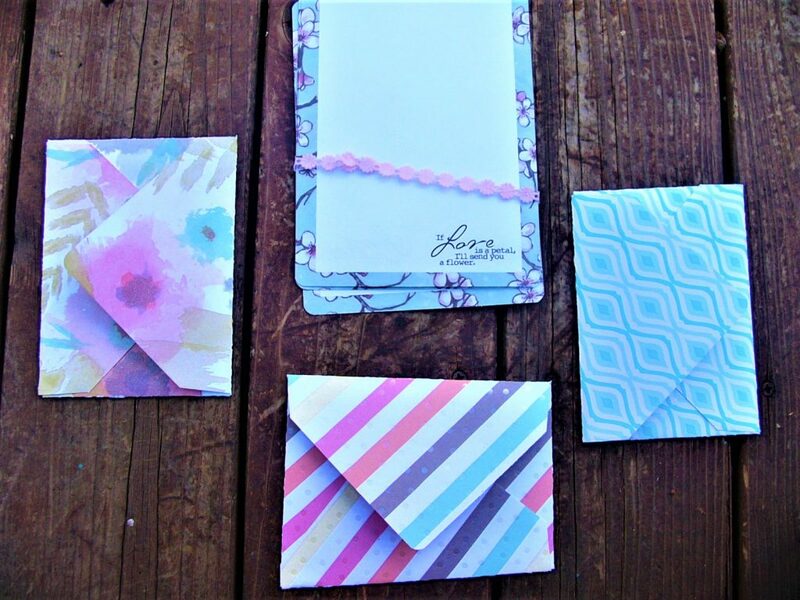 I love sending out paper letters, and I knew that Teakberry would be perfect to use when sending out fun snail mail! 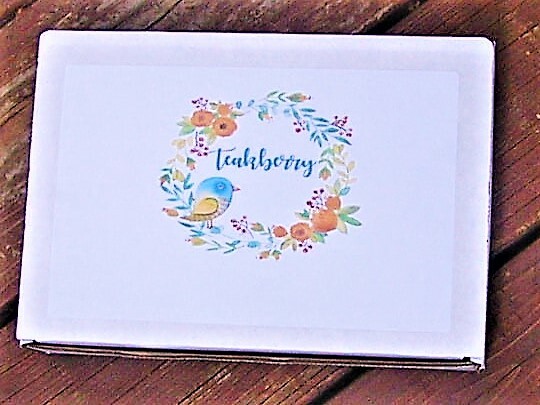 Teakberry shows up in this adorable white box with the logo on the front. I love how crafty the logo is, and the box fits everything perfectly! Upon opening the box, you are greeted with the item list for May’s box! Tissue paper also covers the items included, and this added to the craftiness of the box. 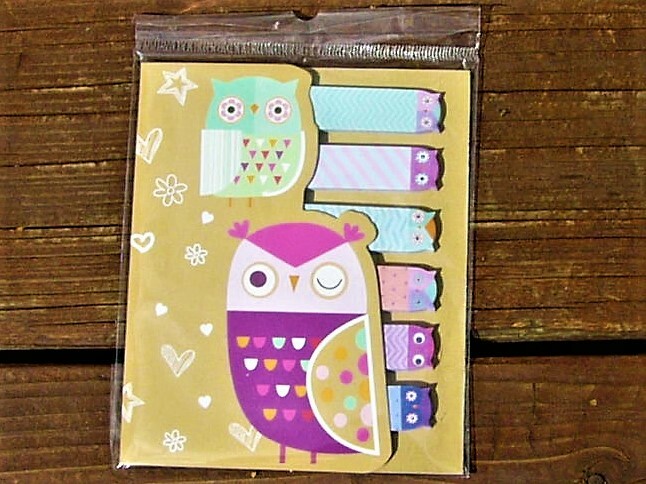 The first item I pull out of the box is this adorable set of owl sticky tabs! I use sticky tabs all of the time when marking pages for my book reviews, and these are just too cute. I love how they have a spring feel to them! Teakberry also comes with a food item or beverage each month for the subscriber to enjoy while crafting. This month included some hard candy in a handmade paper purse, it is such a nice touch! 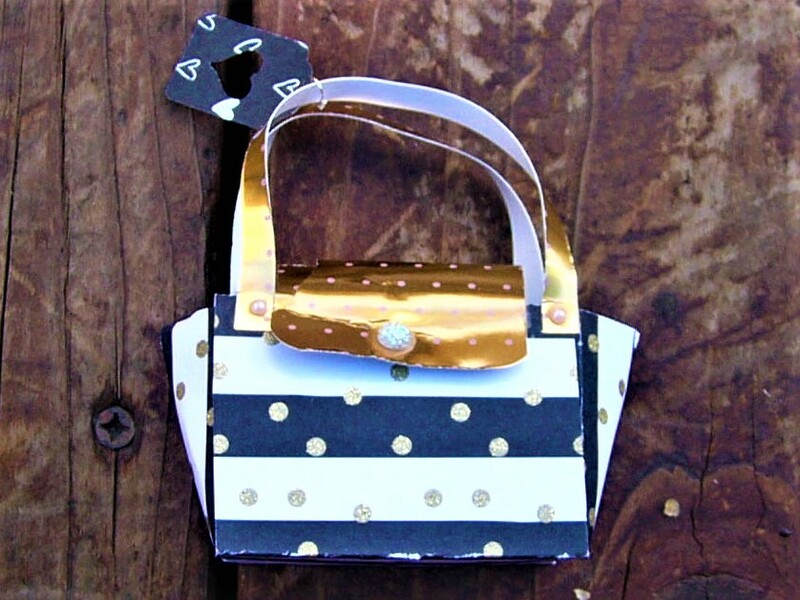 I love how the owner of the box handmade the paper purse just for the subscriber. I will be reusing it for sure! 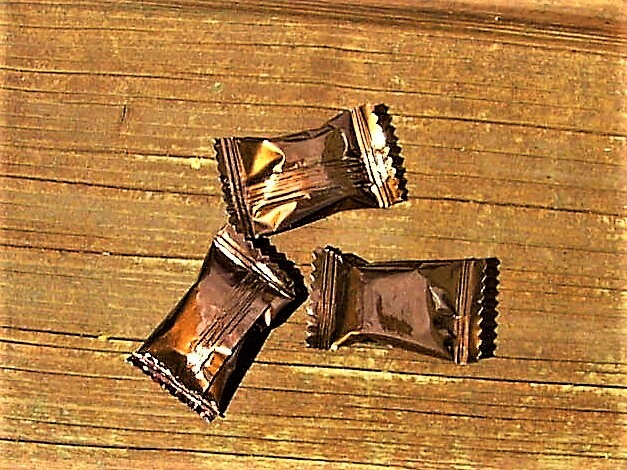 I tasted one of the candies and they taste like coffee drops. I am a huge fan of tea hard candies, so these were a nice change from my usual hard candy! The next items in the box are these sheets of stickers! 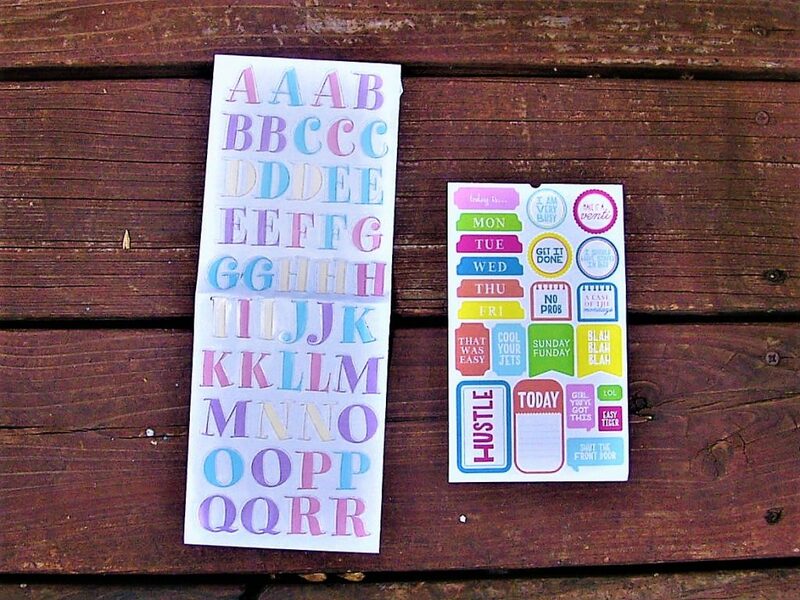 The stickers on the right are perfect to use in your planner, and you can never have enough lettering stickers. I have already tucked these into my planner, and I will use them as I plan. 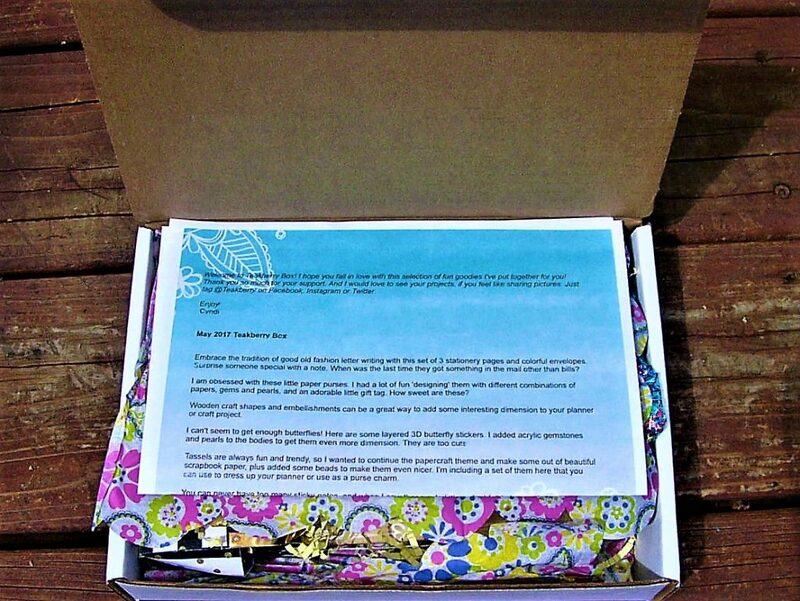 This paper crafting box would not be complete without paper, and boy did Teakberry deliver! 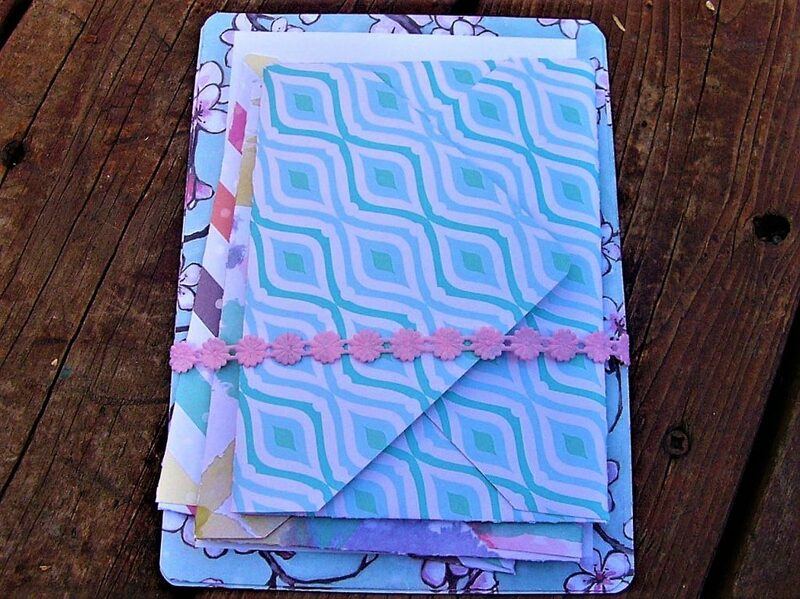 I adore all of these cute papers, and they are perfect for journaling, scrapbooking, or just about anything! The variety of papers included is great, and I enjoy how they all have different themes. Also included in this adorable pocket notebook! The notebook has a handmade cover and spine, and I love how unique it is! I can definitely use a mini notebook when on the go. The next items included are these handmade charms! Many people use these as journal or planner jewelry and connect the charms onto the spines of the notebooks. I think that I will use one for my planner and the other for my phone! These are just too cute. Now, how could one have a notebook without pencils? Well, Teakberry has you covered! 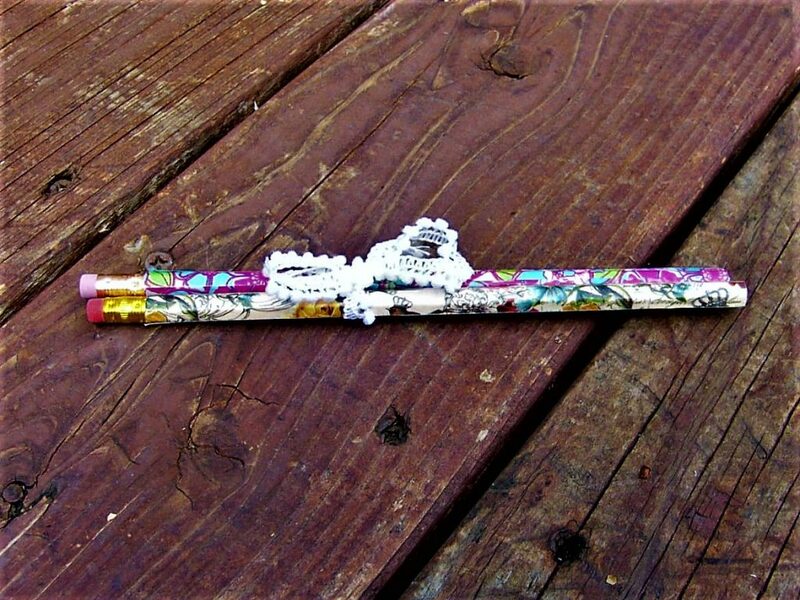 These pencils are store bought but they are covered in paper and embellishments made by the owner of the box! I am amazed how each little detail in this box has the perfect handmade touch. If you can’t tell already, I am a huge fan of handmade items above anything else, so this box is more than winning with me. This wooden tag is also one of the fun items included in the box. 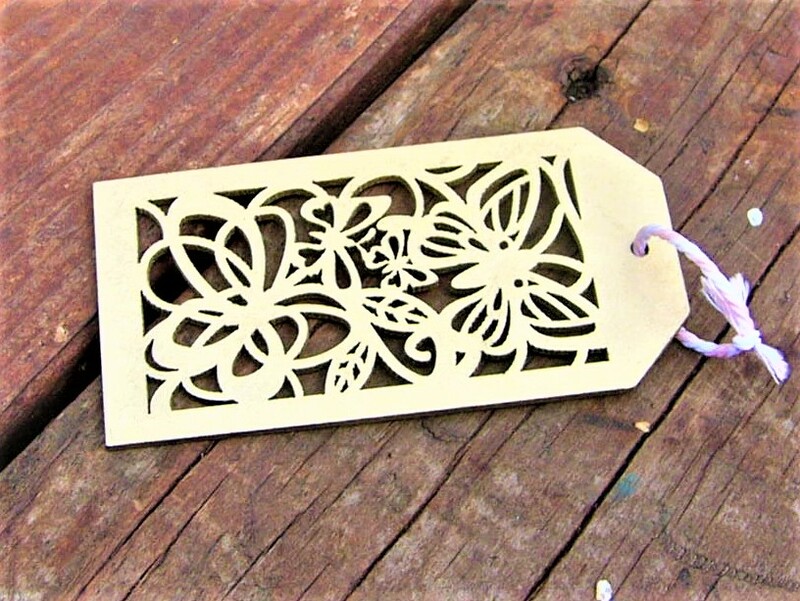 This will be perfect for attaching to a gift, or even to use as a bookmark! I love the butterful detailing. The next item included in the box is this set of handmade envelopes and stationary! 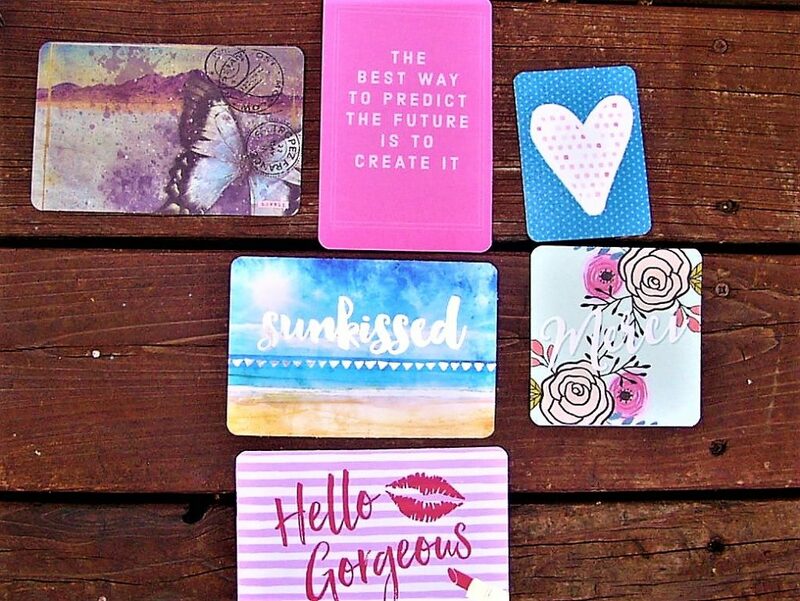 These are perfect for writing letters, and they are one of a kind. The stationary says “If love is a petal, I’ll send you a flower.” I have never heard that quote before, but it is so endearing! These letters would be perfect to send to someone romantically or a close friend. 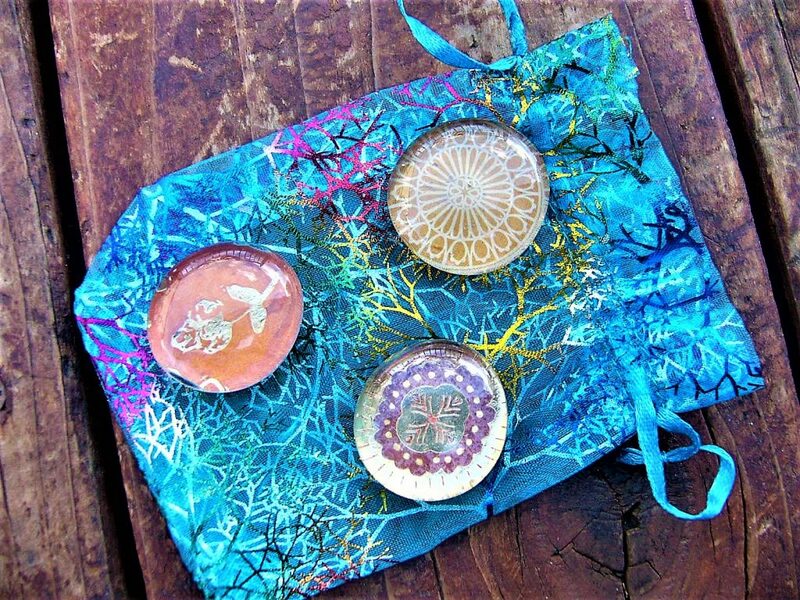 The next item included in the box are these handmade glass magnets! I have already put them on my fridge, and they will be perfect to hold up photos and lists. What a nice touch! And now for my favorite item in the box, these handmade paper butterflies! I love how antique and floral these butterflies are. They are perfect for decorating just about everything, and I think I am going to hang them up on my wall. If you are an artist, these would be great to use in an art piece! Final Thought: I was amazed by everything that was included in this box! The curation and care that was put into handmaking the majority of these items wowed me. My favorite boxes are those that show a lot of care and detail, and Teakberry more than excelled in this category. Each item is also highly usable, and none of the items will be put to waste! 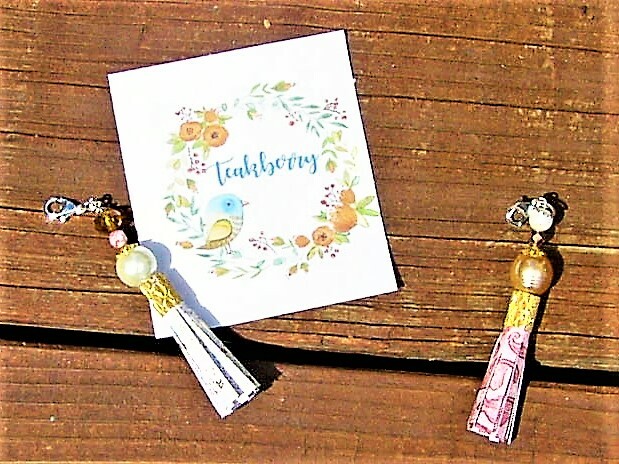 I highly suggest Teakberry for any crafters looking to expand their collection of supplies each month, or those who want to spice up their mail, planners, or journals!